GORGEOUS 4.44 AC ESTATE PROPERTY! Tucked away on a hill just above Hidden Valley Lake in So. Lake County, this luxury 3 bd/2ba, 2,165 sq. ft. estate property built in 2006 combines modern elegance w/southwestern charm! Enter to find soaring ceilings, dark oak hardwood floors, designer fixtures & window coverings, french doors, picture windows & pellet stove with a custom mantle. The beautiful kitchen has tile floors, Corian counters w/raised breakfast bar, stainless Kitchenaid appliances including dual ov GORGEOUS 4.44 AC ESTATE PROPERTY! Tucked away on a hill just above Hidden Valley Lake in So. 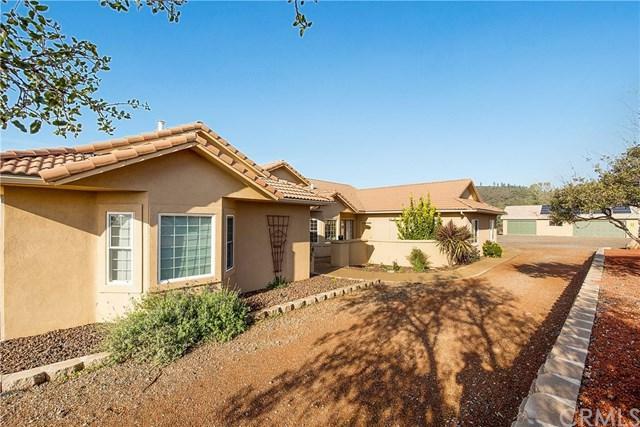 Lake County, this luxury 3 bd/2ba, 2,165 sq. 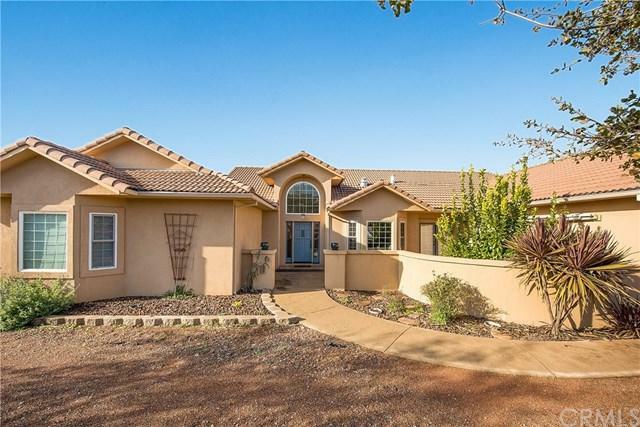 ft. estate property built in 2006 combines modern elegance w/southwestern charm! Enter to find soaring ceilings, dark oak hardwood floors, designer fixtures & window coverings, french doors, picture windows & pellet stove with a custom mantle. The beautiful kitchen has tile floors, Corian counters w/raised breakfast bar, stainless Kitchenaid appliances including dual ovens & a gas cook-top, custom upgraded Alder cabinets w/pullouts & a large pantry, and a breakfast nook with a bay window looking out to the front stamped concrete courtyard. The private master suite has a walk-in closet with built-in shelves & a luxurious master bathroom w/radiant floors, clawfoot tub & HUGE step-in shower! 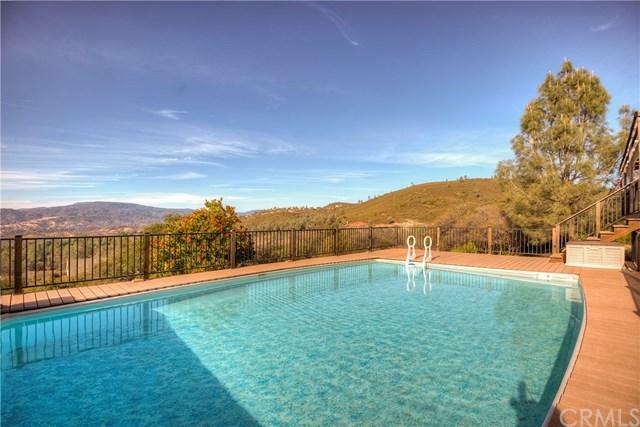 Enjoy sprawling views of the valley and beyond while soaking in the 18'x30' above ground Chois pool, or in the hot tub located off the private master terrace. There is an attached 3 car garage & bonus detached 3 car garage/workshop. PLUS owned solar panels can practically eliminate the electric bill! 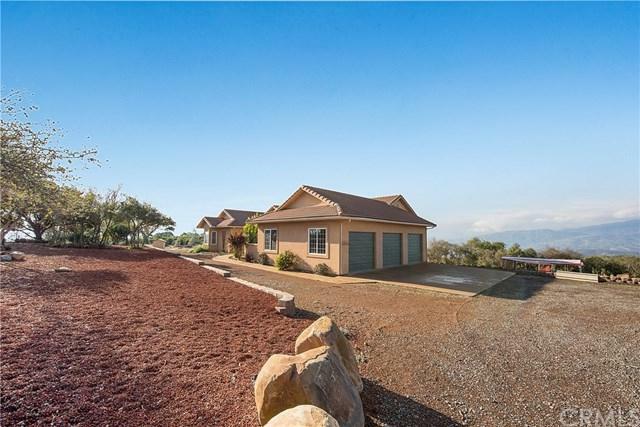 This completely usable 4.44 acre estate has room for horses, great soil for a hobby vineyard, or easy, low-maintenance, low-water landscaping already in place! Listing provided courtesy of Re/Max Gold Lake County. Listing information © 2019 San Diego MLS, Inc.